This is a wonderfully gentle romance. It is the story of two men in their forties who live in a small Colorado tourist town. It’s a more domestic story than the last few I’ve read by this author and the focus is on Matt and Todd’s relationships with their families. Todd is supported by a close group of friends, a beautiful family he has made for himself. This is a slow and thoughtful story about two men in middle age evaluating their lives, their relationships, and their priorities. This is definitely aimed at a slightly older audience than the Mary’s Boys books. I’m nearing Matt and Todd’s age and many of their experiences and reflections really resonated with me. I found the story quite comforting – it made think hard about my own life choices while reinforcing a sense of shared humanity. I loved the characters in this story and I love that there are so many interesting women in this one. Todd’s GBCD group is full of special men and I’m really hoping for more books about these characters. I’m still not sure why Todd’s narration is told in the first person while Matt’s is told in third person. It’s a tiny niggle in a wonderful book but I found it irritating and it disrupted the flow of the story at times. However, I really, really loved this story. 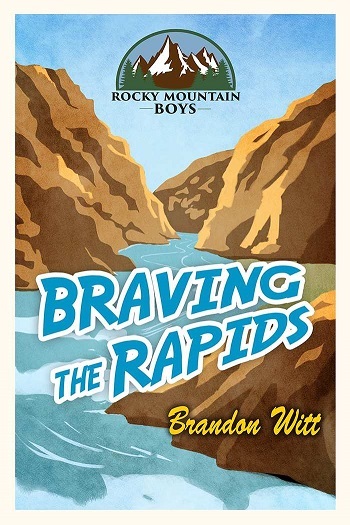 Reviewers on the Wicked Reads Review Team were provided a free copy of Braving the Rapids (Rocky Mountain Boys #2) by Brandon Witt to read and review.